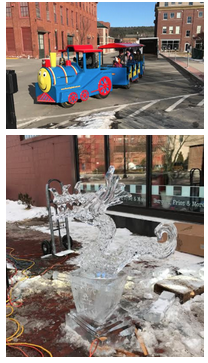 The 17th Annual Keene Ice and Snow Festival, presented by the Monadnock Travel Council, takes place on Saturday, February 2, 2019 from 10 am to 4 pm in downtown Keene. 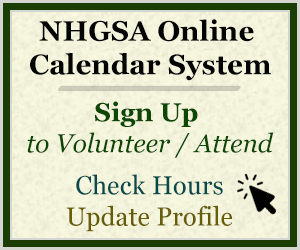 GSAs can volunteer at the NH Information Booths, which will be set up at Central Square at the top of Main Street (Gazebo area) and on Railroad Square. Booths will have information from the NH Division of Travel and Tourism, Keene Chamber, local Monadnock Region information as well as Keene Ice & Snow Festival Events Map and Information. Due to the fact that the booths are outside, shifts are 2 hours long. Feel free to sign up for more than one if you wish to stay longer. Please remember that this is an outside booth. Dress warm in layers: coat, gloves, scarf, hats, heavy socks, etc. as it is very cold outside this time of year. A break will be given from time to time to go inside the Keene Chamber office to get warm. When you arrive, go to the Keene Chamber Office to sign in and to pick up event parking pass for dash of front windshield. Duties: Assist guests with event and area information – brochures, maps, and directions. Re-stock booth. There will be a Festival/Map Information Sheet that will have a lot of pertinent information, time schedule etc. This will be the main piece of information for the festival and you will be given one as soon as you check in and I will have ready a few days before the festival to e-mail to you. It will be our goal to help visitors in using it. We will also have set-up and breakdown shifts. The booth is outdoors so please dress accordingly. Uniform: Regular GSA uniform (GSA uniform shirt / khaki pants) and dress in layers as it can be very cold outside. There will be a warming station and bathrooms inside the Greater Keene Chamber of Commerce with a key for access. The bathrooms at the Keene Chamber are for GSA volunteers and Keene Chamber Board Directors Staff (have their own key.) Please make sure the door is kept locked. There will be a person or two maintaining the Chamber office for sign in etc. for the entire event. Parking: Please park by the Keene Chamber of Commerce where there are blocked off parking spots with a note from Keene Parking-City of Keene or by Local Burger by Railroad Square. These will be the only reserved spots that will have a pass available. If you choose to park else where there will not be a pass available and will need to feed the meter or will need a paid parking slip for the dash. Directions from Manchester 101 West: Follow 101 West all the way to Keene, NH. At the 2nd set of lights coming into Keene bare on to Main Street. Head straight up Main Street and go straight through the roundabout to the top of Main Street. The circle around the top is Central Square. Find parking and info is in “Parking” listed above. Directions from Concord NH– Rte 9 West to Keene NH: When coming into Keene take a left exiting off of Rte 9 West onto Washington Street. Come all the way down Washington Street will see Bank of America on right as you bare right onto Central Square. Find parking and The Keene Chamber(48 Central Square) will be on the right as you go around Central Square to head down Main Street. There will be bottled water, coffee and snacks that will be put inside the Keene Chamber of Commerce. Please make sure that your belongings are secure and watched while at the festival. It is strongly suggested not to bring handbags. Welcome to the Monadnock Region and The Keene Ice & Snow Festival! Thanks for helping staff the Keene Ice & Snow Festival-Information Booths! and save some time to enjoy The Keene Ice & Snow Festival!